Chloe Ann Gardner Johnson and her husband, Joseph Henry Pascal Johnson, were residents of Ray City, GA for more than 40 years. They were well known in the community and operated businesses in Ray City and Nashville. Chloe Ann Gardner and Joseph Henry Pascal Johnson on their wedding day, December 17, 1899. They were married at the Methodist Church in DuPont, GA. Image courtesy of Julie Hutson. Chloe Ann Gardner was born November 11, 1879, a daughter of Martha Ann McCall and Joseph Flournoy Gardner. She was named after her grandmother, Chloe Ann Folsom. Her great grandfather, Pennywell Folsom fell at Brushy Creek during the Indian War of 1836. Chloe’s father, Joseph Flournoy Gardner (1856-1947), was from Alabama. As a young man he moved to Bartow in Hamilton County, FL. This community, now lost, was perhaps about 50 miles south of Ray’s Mill, GA. There, he married Chloe’s mother, Martha Ann McCall (1856-1932). Chloe grew up in Hamilton County, FL. 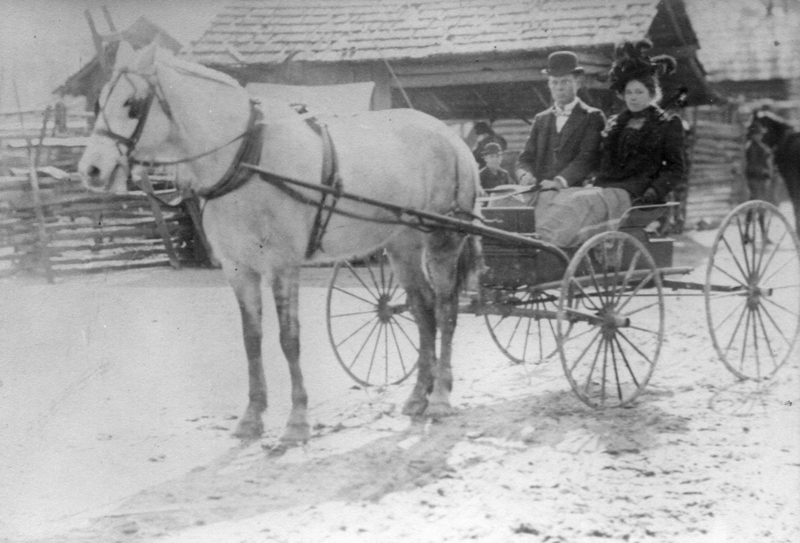 Some time before 1900 her parents had moved farther south to central Florida. In 1899, Chloe married Joseph Henry Pascal “Joe” Johnson of DuPont, GA. They were married in the Methodist Church in Dupont. Chloe Ann Gardner Johnson with her children, parents and siblings, circa 1909. Left to right, top row: sisters Emma Gardner Langdale, Celeta Gardner, Jennie Gardner. 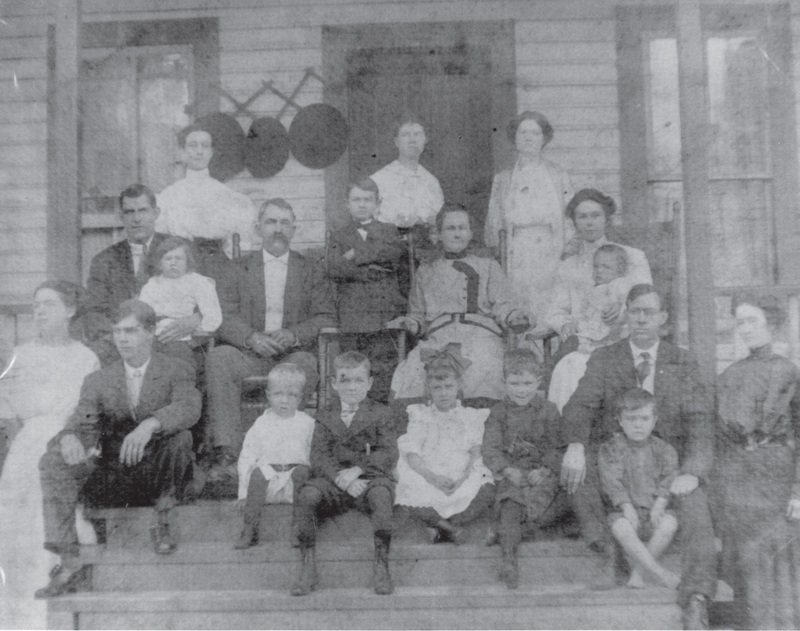 Middle row: Elroy Langdale with son J. D. Langdale, Joseph Flourney Gardner, Ponce de Leon Gardner, Martha Ann McCall Gardner, Chloe Ann Gardner Johnson with son Lawton Johnson. Front row: Martha Leona Gardner, Charles “Charlie” Leon Bryan, Chloe’s children – Floyd B. Johnson, Rowan Glenn Johnson, Mildred “Dish” Lee Johnson, Joseph Wallace Johnson. Then David H Stewart, his son Elton Stewart, and Mary Gardner Stewart. Image courtesy of Julie Hutson. For several years, the Johnsons, JHP and Chloe, made their home in Dupont, but some time before 1918 moved to Ray City, GA where they remained for the rest of their lives. 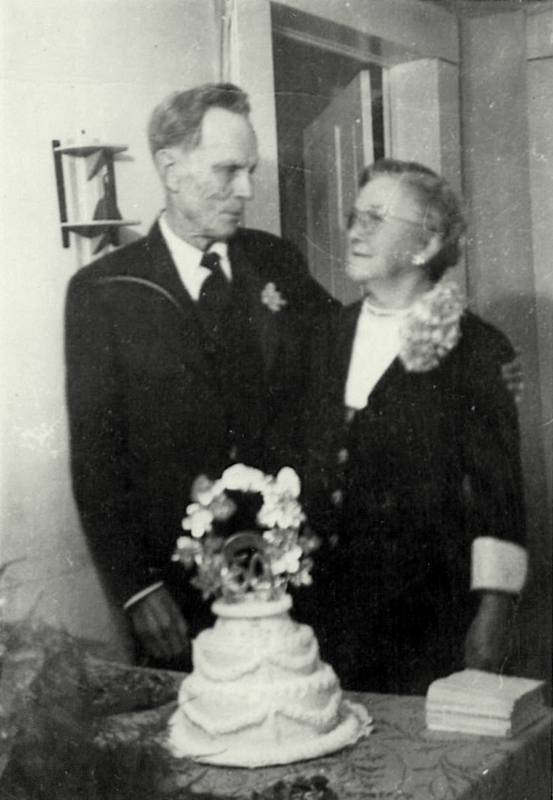 50th wedding anniversary of Chloe Ann Gardner and Joseph Henry Pascal Johnson, 1949. Image courtesy of Julie Hutson.